A day before making his headlining debut at Coachella, The Weeknd shared a video for the track “Call Out My Name” from the singer’s recent EP My Dear Melancholy,. 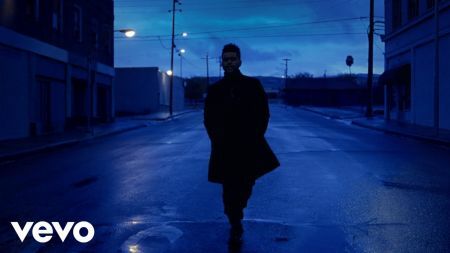 The visual opens with Tesfaye walking down an empty, rain-slicked street, perfectly capturing the song’s forlorn, contemplative feel. The Grant Singer-directed video also contains some stunning visual effects and images. You can watch it above. The Weeknd recently made his headlining debut at Coachella after making his inaugural performance at the festival as a relative newcomer in 2012 and returning again as a much bigger star in 2015. As Billboard reports, Tesfaye didn’t bring out any special guests for the performance even though his “Black Panther” soundtrack collaborator Kendrick Lamar made a guest appearance with his fellow “Black Panther” collaborator and labelmate SZA just an hour before on the same stage. The headline was Tesfaye’s big moment. The Weeknd also debuted “Call Out My Name” live at Coachella. You can watch a clip of the performance below.